Jonah chapter 4 brings the story back to a place where we see Jonah’s heart and realize his experience has been more about refining his spirit than redeeming Nineveh’s. After Nineveh repents and God aborts destroying the city, instead of celebrating that victory, Jonah’s thirst for vengeance brings him to anger and bitterness. How could God take such horrid, violent people at their word? He should smite them to teach the rest of the world a lesson! This anger reveals the true state of Jonah’s spirit. He is no better than his enemy, he hates what he cannot forget of their past and longs to see it brought back to them ten fold; but that is not how God works. The image depicts Jonah’s head in much the same ashamed, reluctant position it was in for chapter two’s drawing, after it took three days of exile in the ocean for him to accept his mission to Nineveh. In contrast of chapter 2, the surrounding background is white, cleansed by Nineveh’s repentance. 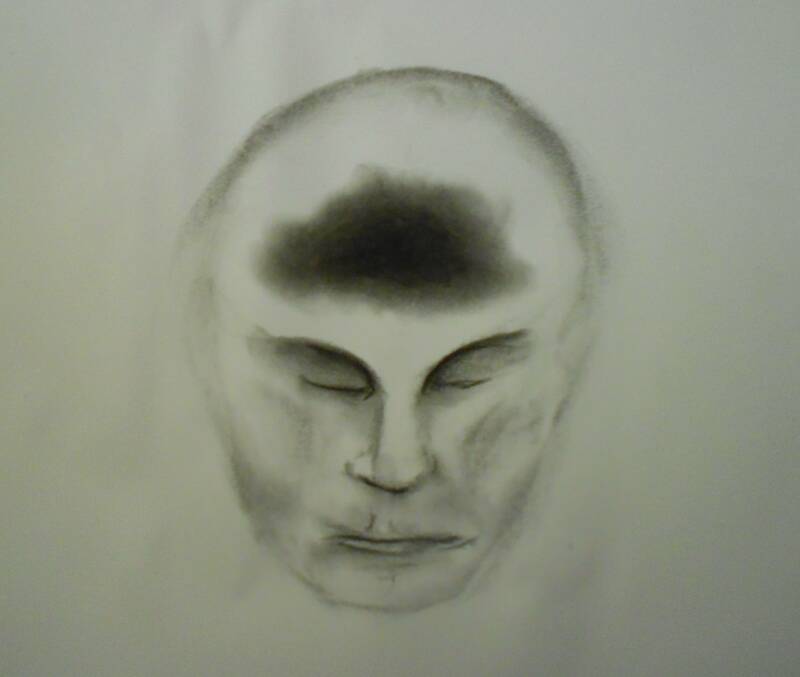 The darkest part of the drawing is the growing cloud within Jonah’s mind, the spirit of bitterness towards Nineveh’s new-found salvation without immediate tangible consequences for their past. What Jonah has yet to realize is this growing attitude is what created Ninevah’s world view, an attitude based on selfishness and pride. Jonah is at a point now, if he does not acknowledge and repent of his own faults, he risks being by the darkness growing in his mind.